We know the subject of hydration comes up a lot around here (we do sell water after all) but that's because we know that hydration is so important to every aspect in life. If you have been following us for awhile then you know how much water you need to be drinking, and we know that you do drink that much, right? But did you know that your pet’s hydration is just as important as yours! Knowing how much water your pooch needs is essential in giving him the best life. Whether you're headed to a relative's house this year or planning an epic beach vacation during the winter months, you’ll probably be spending a substantial amount of time squeezed inside a car. Not only can this be uncomfortable, but it can also take a toll on your overall health. The importance of staying hydrated is often forgotten about when on a road trip, but if not monitored, it can actually be quite dangerous! Here are a few tips to help keep you healthy on the road so that you can enjoy your final destination that much more. The summer months are finally upon us and along with backyard barbecues, poolside lounging, and sun-filled hikes also comes the responsibility of staying water conscious. 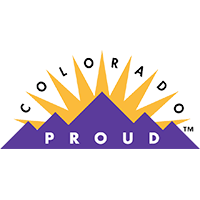 It’s no secret that we in Colorado have a very arid climate and are therefore more susceptible to droughts. It’s our duty as Coloradans to protect this very important resource! Here are 50 easy ways to help conserve water this summer. Everyone seems to talking about them but what are they and how can understanding electrolytes improve your overall health and hydration? Electrolytes are minerals that exist in the blood as acids, bases, and salts. Sodium, potassium, and magnesium are examples of electrolytes. When these minerals are dissolved, they break apart into charged particles called ions. The charge from these ions creates electricity that helps sustain not only human life, but plant and animal life too! When combined with the rest of your body's functions, electrolytes are the driving force behind proper blood pressure, circulation of nutrients, rebuilding damaged tissues, expediting waste from the body, and so much more. Without these little guys, life just wouldn't be possible. We’re proud to say that Eldorado Natural Spring Water has won many awards. 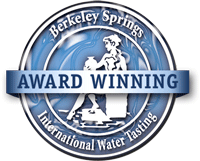 This includes a Gold Medal last year for Best Municipal Water in the U.S., and Second Best in the World, at the prestigious Berkeley Springs International Tasting. There, in what is referred to as the Academy Awards of water tasting, a panel of food critics and journalists assesses water samples based on taste, odor, mouthfeel, and aftertaste, and recognizes excellence. But, we can’t blame you if you feel that claims of “best” are a dime a dozen. If we were in your shoes, we’d demand some verification. Water: It’s What’s for Dinner! Staying hydrated should always be one of your and your family’s number one priorities. It’s one of the easiest and cheapest ways to help keep your body in tip-top shape! At Eldorado Natural Spring Water, we take every opportunity to up our water intake—including at dinner time. At Eldorado Springs, we really love receiving testimonials from all of you out there that love our water! Some time ago, we received a rather unique email from one of our biggest fans. It just so happens that this fan is actually a cat named Tiger! In the email, Tiger’s owner, Jerry G, explains how his furry friend came to know and love Eldorado Springs Water. Trust: a word that gets tossed around a lot these days. It’s in the mission statement of every business, and it’s on every employee’s résumé. It’s a word that has little value if you can’t back it up with keeping promises, revealing the truth, and even admitting when you make an error. We are expected to trust people on a daily basis. Your employer trusts that you will show up to work and fulfill your duties to the best of your ability. On the flip side, you trust that when you put in time at work, your employer will pay for your efforts. You trust that the other drivers around you are going to follow the rules of the road, just as they trust you to do the same. You trust that your loved ones will be there for you in times of need, just as they trust that you will do the same for them. As a business, being trustworthy is more than just asking or expecting customers to trust you. It’s about proving that your company maintains integrity, honesty and sound ethics. Eldorado Natural Spring Water sure is grateful to be able to call Colorado home. There is so much natural beauty in this state and time is always best spent outdoors. If you decide to explore one of Colorado's many trails, hike the backcountry, or even visit a favorite trail you’ve hiked time and time again, the trip may not always go as planned. What was originally meant to be a 2 hour excursion can easily turn into a 15 mile adventure. That’s why, in addition to recommending that you take a few bottles of Eldorado Natural Spring Water, we also suggest you take a water treatment option along. Why does water for consumption always need to be treated while you're out in the wilderness—and what are your best options? Here are a few things to consider before you head out.